Office Outlet makes its new store look modern and professional with Tamlite Lighting Solution. 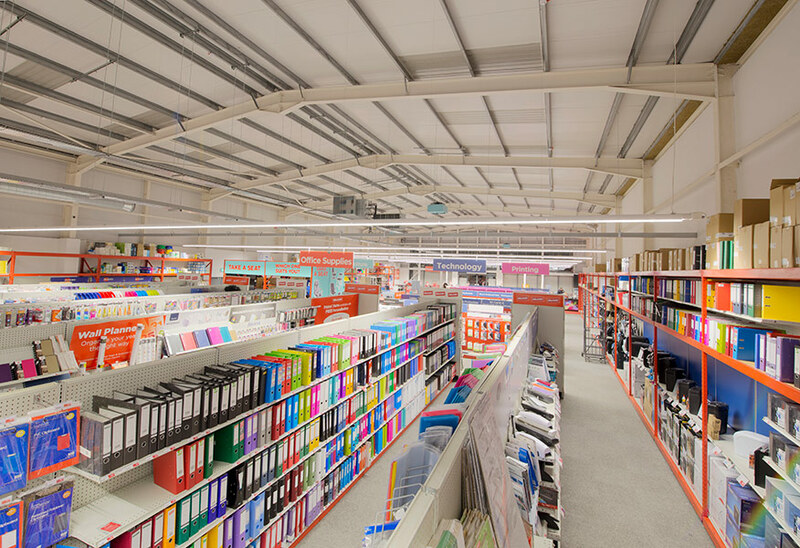 Office Outlet, formerly known as Staples, operates 92 retail stores across the UK, as well as online. Many of its stores are in out of town retail parks, with big open spaces and high ceilings. It was initially thought that, after the takeover of the Staples retail arm by HILCO, that some stores would close. 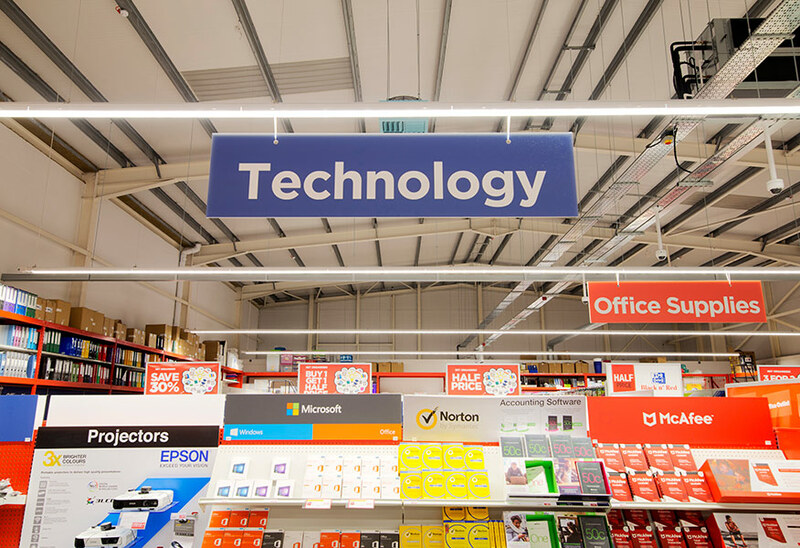 Instead, these have been renamed and redesigned, and the ongoing rebrand of Staples to Office Outlet has led to several new-build stores being opened in the UK. Noble Interiors was responsible for the fit-out of the latest new store in Parc Tawe Retail Park, Swansea. 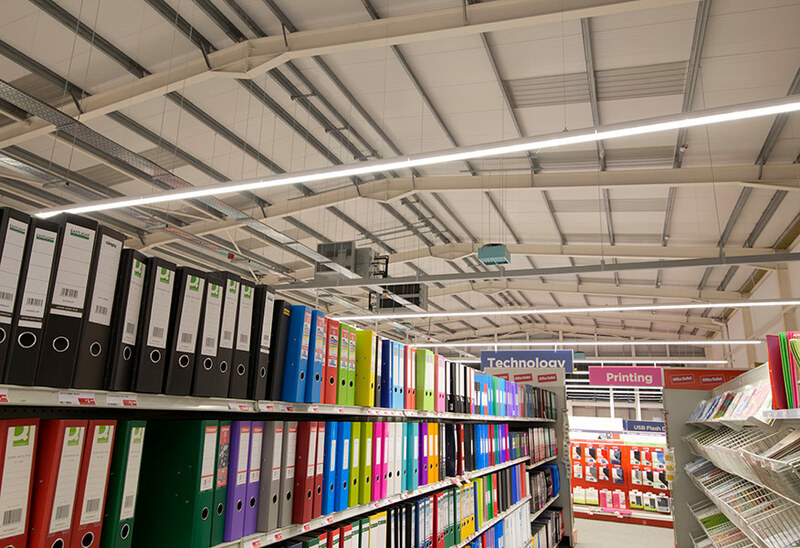 Noble Interiors have worked with CEF Huntingdon on a number of projects and were happy to use Tamlite Lighting for the design and specification of the in-store and back of house lighting, across a total 870m² as recommended by CEF. The lighting needed to occupy a large space, illuminating aisles, shelves and walkways to guide customers around the store. It was also important that the luminaires used were visually pleasing, to integrate with the new, modern feel of the store. Read more. 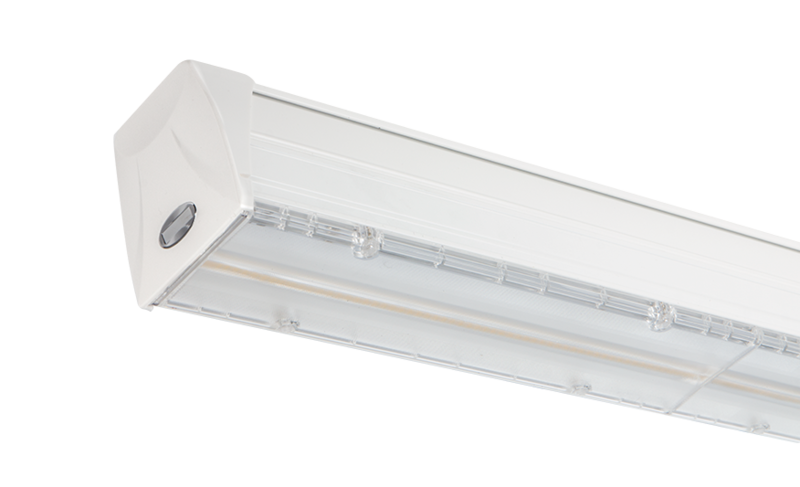 Tamlite recommended and specified a total of 286 energy-efficient I-LINE luminaires throughout the store, with controls to manage the light levels throughout the day and enhanced lighting in merchandise areas. These solutions were ideal for this type of store. 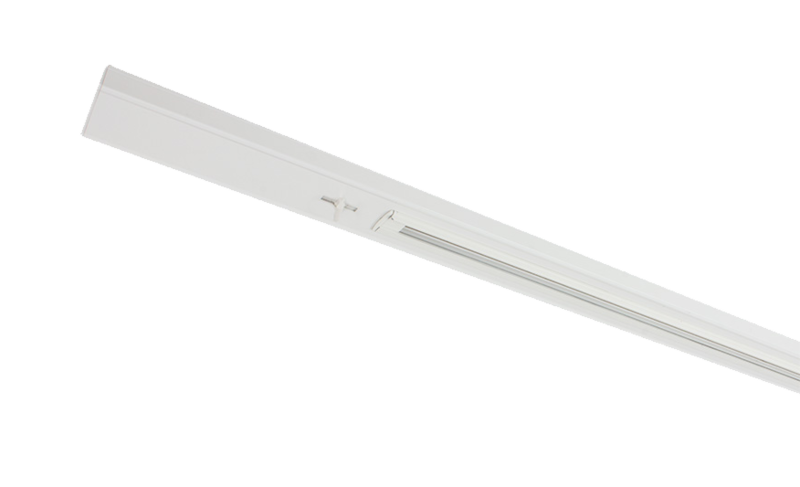 The customisation of the I LINE system provided an optimal lighting system for Office Outlet. They were able to choose the beam angles that suited their space, and the connected system provided even lighting throughout the store. 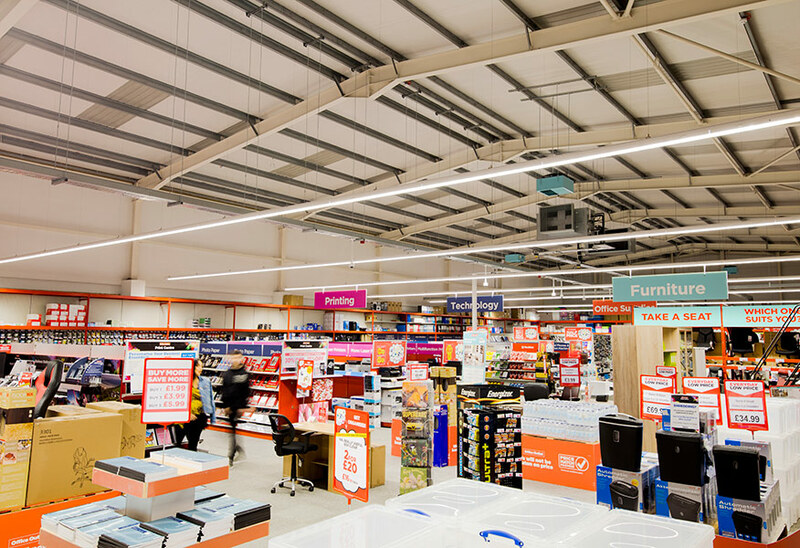 Working around the six-week fit-out of the new-build store, Tamlite supplied the latest energy-efficient LEDs and controls, ensuring minimal disruption to the construction schedule and customer satisfaction. The outcome of the lighting installation was a modern, professional feel to the store, with a lighting system that benefits both the customers and the store itself.